GIVEAWAY IS OVER ~ Check your email for winner announcements! Wow ~ 3 years…Today, three years ago, I sat at my kitchen counter and decided on the name Cavegirl Cuisine. I knew nothing about blogging, nothing about photography, and I was VERY new to the paleo lifestyle. I don’t know what came over me to just go for it and start playing around with recipes and then post them. I never realized that I’d eventually have two cookbooks, a “brand”, better skills (!! ), and an amazing group of new friends. Thank you all for the amazing positivity that you’ve filled my days with over these past three years. As a THANK YOU, these AMAZING companies have come together and donated so many wonderful prizes to help celebrate! Over $1400 worth of prizes…over 25 winners!! US RESIDENTS ONLY. Must be at least 18 years old. Winners will be announced within 48 hours on the end of the giveaway. GOOD LUCK! SousVide Supreme Promo Pack – $600, Includes a SousVide Supreme® water oven, Sous Vide Vacuum Sealer VS3000 (includes 12 pouches), 2 boxes of vacuum seal pouches – quart and gallon, and the Easy Sous Vide cookbook. Everything you need to start cooking sous vide! The SousVide Supreme is the world’s first water oven designed specifically to bring the extraordinary sous vide cooking method into the home kitchen. WÜSTHOF, $165 , CLASSIC 8-inch Cook’s knife. It is the most essential of all knives used in the kitchen. Lodge Cast Iron, $37, 12-Inch Cast Iron Skillet. The Lodge 12-inch skillet will be your go-to skillet for years to come, and now features an assist handle for easier handling. Kasandrinos, 2 packages/2 winners, (1) $56, 3-liter tin of olive oil and a lip balm (2) $41, bottle of olive oil and a lip balm. The olive used in their extra virgin olive oil is the Koroneiki which is grown in the perfectly warm and stable climate of the Southern Peloponnese and is very high in polyphenols. The Primal Kitchen, $30 ($10 each), 3 winners, 1 jar each of Primal Kitchen Mayo. Mayo ingredient list: avocado oil, organic cage-free eggs, organic egg yolks, organic vinegar (from non-GMO beets), sea salt, rosemary extract. Red Boat Fish Sauce, $60, BLiS Barrel Aged Fish Sauce, 40n Extra Virgin, and Red Boat Salt. Pure Indian Foods, $75, a basket containing 14 oz of Grassfed Organic Ghee, 14.2 oz of PRIMALFAT Coconut Ghee, 8.5 oz of Coffee++(a cultered ghee and MCT oil blend), on 6×1.1 ounce Assorted Sampler Pack of Spiced Ghee, 2.5 oz of Premium Quality Organic Turmeric Powder (naturally high in curcumin). EXO Cricket Bars, $36, 1 box of Cacao Nut Bars. No gluten, grain, soy, dairy or refined sugars. Perfect as a meal-replacement, healthful snack or pre/post-exercise. Sustainable fuel for the explorers among us. Barefoot Provisions, $45, Whole 30 Emergency Food Kit. Because all of these great products have been carefully selected and approved by the Whole30 team, you can focus on your Whole30 journey, while resting assured that you’re eating the best foods possible. Give it your best 30 and enjoy! Wholly Bites, $36, One of each large bags. Includes flavors: Apricot Pecan, Cacao Nib, Sweet Curry and Ginger Snap. A satisfyingly rich treat that’s a little like granola, a little like a macaroon, and a lot like something you’d eat all day long. Beverly Meyer on Diet and Health, $20, DVD, “The Diet For Human Beings”. This Gluten Free Paleo Diet DVD will help you change your life as quickly as you want to. You’ll learn why you want to eliminate foods that humans never ate until 10,000 – 13,000 years ago and how to change your diet correctly. Paleo Eats, $20, 1 dozen Cro Bars. Evolve your diet. Evolve your life. Evolve back to the foods of our ancestors with Paleo Eats, the best-tasting Paleo products on the planet. 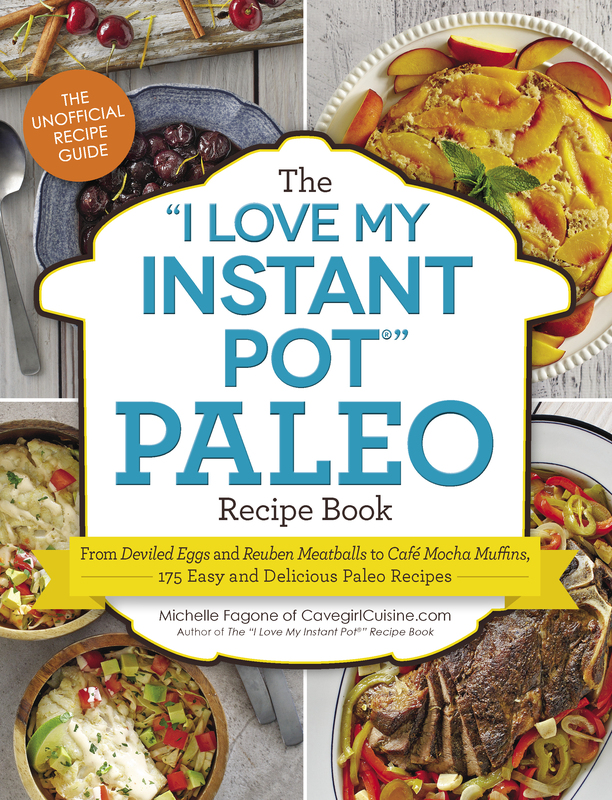 Predominantly Paleo & The Real Food Guide, $10, PDF Cookbook, We Can All Scream for Ice Cream! If you’re going to indulge, these allergen-free, and refined-sugar-free recipes will certainly reduce the chance of a bad reaction afterwards. Bacon’s Heir, $32, Gift Box, a variety of products including their insanely delicious Pork Clouds (the pork rind, reinvented)…you also need to check out their Pork Dust. The Everything Paleo Pregnancy Book, $19 , SIGNED COPY…this is the perfect gift and should be a staple at every baby shower! The Everything Paleo Pregnancy Book shows you how to follow the Paleo diet during pregnancy and beyond – safely and successfully. The Everything Weeknight Paleo Cookbook, $19, Here, you’ll find 300 flavorful, whole-food recipes for meals that will not only satisfy the entire family, but also fit into a busy schedule. THIS WEEK ONLY: $2.99 on Kindle –> http://bit.ly/EVWeeknight. Caveman Cookies, $40 ($20 each), 2 winners, 1 Small Party Pack per winner. Each pack includes 4 labeled cookies of each variety. Cookies are loose; not in a box. At only 65-75 calories per chewy treat, you can feel good about indulging! Delicious Obsessions, $56, Gift Pack of herbal coffees. This includes a 4oz package of both blends, plus a copy of her exclusive ebook. Artisan Tropic, $30, 4.5 oz Mixed Box containing 12 bags (3 Sea Salt, 3 Sweet, 3 Cinnamon, 3 Cassava). Their Cassava and Plantain Strips have no preservatives, no artificial flavors; they are NON GMO, Gluten-free, vegan and Paleo Certified. Steve’s PaleoGoods, $40, Paleo Sampler Pack. 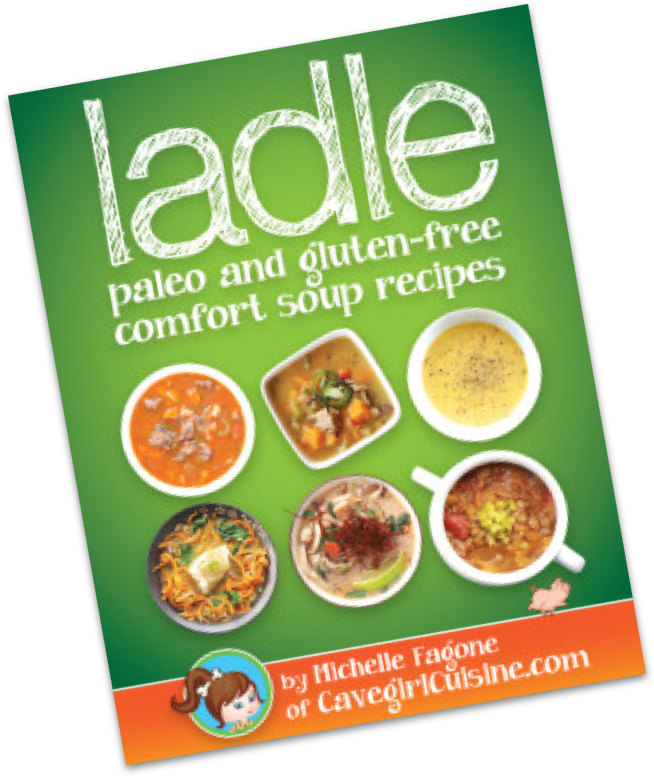 This sampler is great for those new to the Paleo lifestyle and for people who want to try all of our most popular PaleoGoods. You’ll get a delicious variety of PaleoKits, PaleoJerky, PaleoKrunch Cereal and Bars, Dried Fruit, PaleoChef Dressings and Sauce. 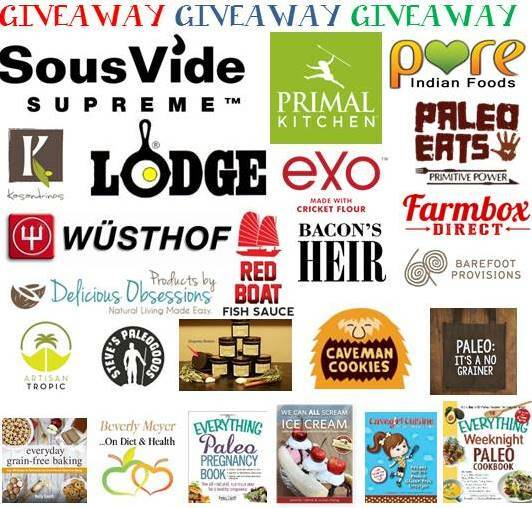 So much Paleo goodness in one place. Everyday Grain-Free Baking Cookbook, $20, by Kelly Smith of The Nourishing Home. From breads, biscuits and muffins to savory snacks and decadent treats, you’ll find step-by-step instructions, beautiful color photographs and helpful tips & tidbits to make all of your GF baking adventures a delicious success! Cavegirl Cuisine Cookbook, $35, Cavegirl Cuisine has taken traditional recipes and “paleotized” them, removing grains and processed food ingredients. Once you try her versions, you won’t miss traditional green bean casserole, breakfast cereals, and peppermint ice cream! THIS WEEK ONLY: $2.99 on Kindle –> http://bit.ly/CCCookbook. FarmBox Direct, $42, Small Box, The small Farmbox is the perfect size for a lone vegan or vegetarian, a couple who only eat out 3 to 4 times a week, or someone who just wants to start eating healthier and has enough veggies for 3-4 meals. All produce is from handpicked local farms, seasonal, fresh, and 100% USDA certified organic. Primal Toad, Toadally Primal Smoothies, $10, PDF smoothie book. Forget about bone broth—who has time for all that fuss? You still want your food to taste good, and of course it needs to be healthy, but what kind of meal can you make in ten minutes when you need to run out the door to work? Something filling. Something balanced. Something to keep you satisfied for hours. 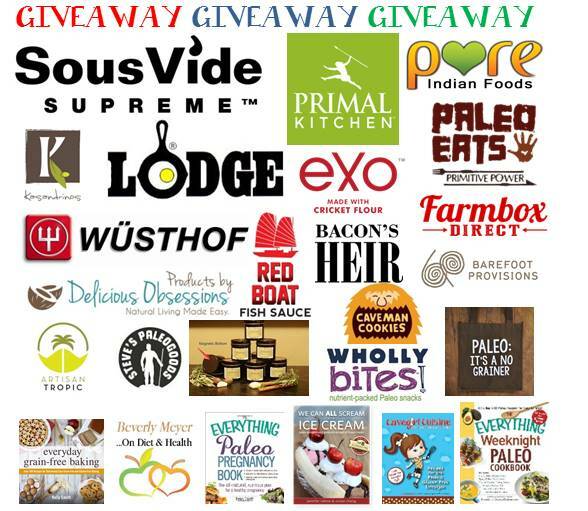 theFOLDexperiment, $30, 3 winners, 2 paleo grocery tote bags each. Coffee Brown “Paleo: It’s a No Grainer” Grocery Tote. Makes a great reusable shopping bag, beach bag or bag for everyday use. TheSpiceyLife, $60, Paleo Friendly Grilling Spice Collection, a collection of nine organic and naturally sourced rubs and seasoning blends that work perfectly for whatever you plan to grill. The spice blends taste great, they cover a variety of meats and uses, and they come in a handy storage container with a magnetic bottom that can also be utilized for storage.